An excerpt from Empire as a Way of Life, by historian William A. Williams (1980) on the subject of President Woodrow Wilson. 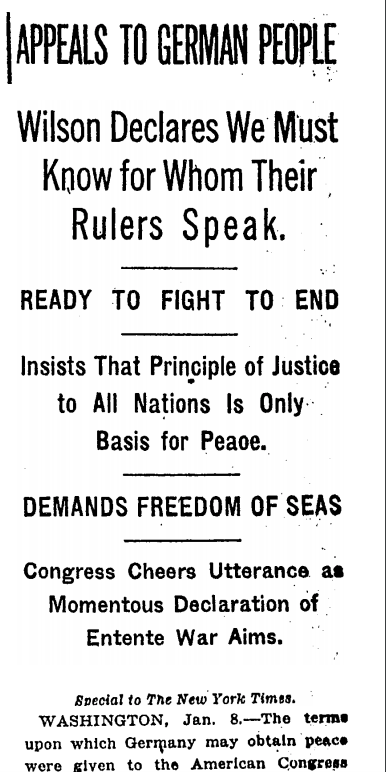 New York Times January 9, 1918 headline on Woodrow Wilson’s Fourteen Points speech. 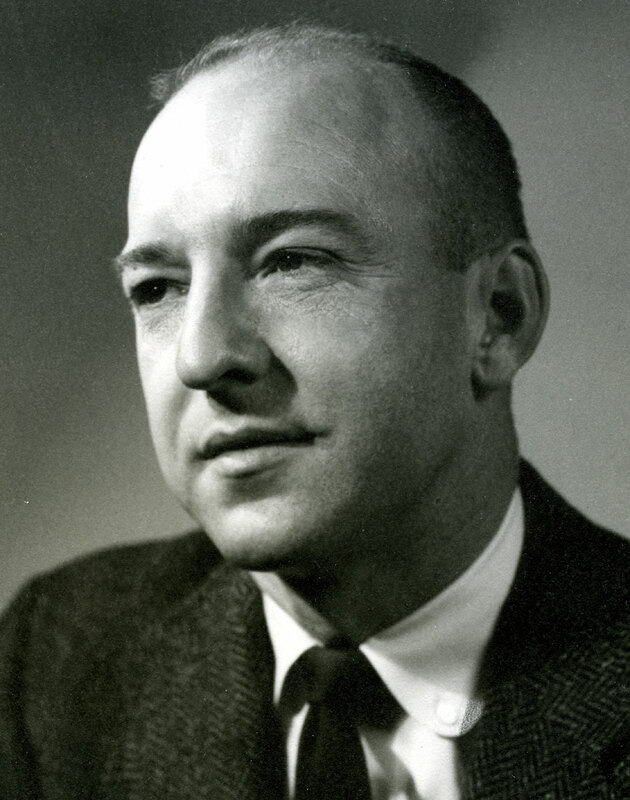 His great admirers, beginning with himself, have sought to discount or even deny his understanding of the capitalist imperative to expand the marketplace, and his enjoyment in exercising police power in order to emphasize his benevolent progressivism. He simply wanted to do good for himself and his country by doing good for others. He can only be understood as a missionary. That is a disarming, even winsome, portrait. Wilson has a central importance as one who practically and symbolically integrated all the elements of empire as a way of life. He called for (and began to build) a navy second to none, vigorously supported the expansion of American economic strength, repeatedly intervened (militarily as well as politically) to reform and educate societies that he considered wayward or backward, and boldly undertook to institutionalize the Open Door Policy on a global scale. Whatever one’s judgment of its morality or practicality, and it is open to grave criticism on both counts, it was a grand vision of global benevolence presided over by the United States. To effect that purpose he led the nation into World War I in the righteous conviction that the deployment of American police power was necessary to usher in a millennium of democratic progress based upon the acceptance and observance of the principles and practices of the American marketplace political economy. And Wilson was candid as well as eloquent in explaining his action and his objective. According to him, the United States entered the conflict in response to violations of its avowed principles “which touched us to the quick and made the life of our own people impossible unless they were corrected and the world secured once and for all against their recurrence.” *Notice well that he did say that the actions of any power or combination of powers posed a direct, immediate or visceral threat to the security or existence of the United States. His emphasis was on the world being defined in the image of America. Historian William A. Williams. Image courtesy Oregon State University. 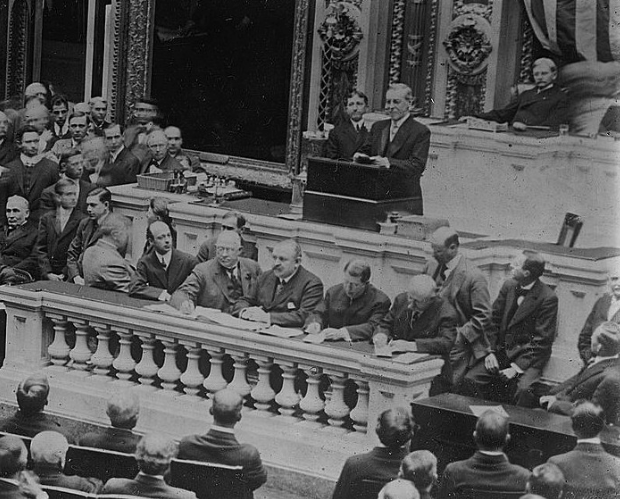 President Wilson giving his Fourteen Points speech to Congress. Wilson not only provided an impressive synthesis of the themes of the new imperial outlook; but, as indicated in his remarks about the old colonial system, he understood the nature of the challenge he had defined. The substance of it was that he had to control the disgruntled poor (symbolized by the ongoing revolutions in China, Mexico and Russia) while simultaneously policing the greed of the rich who competed with the United States for the wealth of the world. That awesome undertaking was the inevitable result of defining American freedom and welfare and security in global terms. There were four primary strategies for attaining the objective. The United States could organize and deploy its resources to police the world – or at any rate those parts of it that refused to accept the American conception of benevolent progress. It could treat the poor as equals and support them to control the rich in the short run, confident that American power would prevail in the medium or long run. It could step aside and let the other rich deal with the poor on the assumption that both groups would eventually be forced to accept American leadership. Or it could use its power in alliance with the other rich to control the poor in return for the rich accepting the American rules for the international marketplace. That proposition provoked a traumatic argument among Americans. Wilson ultimately lost because too many people viewed that kind of commitment to the status quo as inevitably involving the United States in an endless recourse to military force or a devolution into old-style empire – or both. The ensuing defeat of the League Treaty (1919-1920) forced everyone to reexamine the accepted strategy and tactics – and even the limits – of empire as a way of life. ← Spare Us Your Elegies: Who Will Advocate for West Virginia?